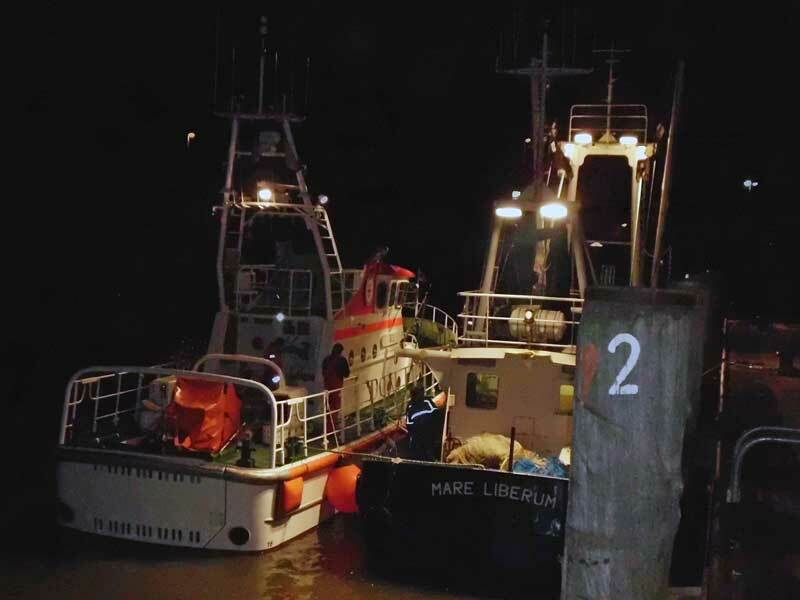 The 21-meter long, 170 ton fishing vessel Mare Liberum became disabled off the Dithmarscher Coast. The Mare Liberum had a hydraulic pump failure which left the rudder blocked. The 2 men on board contacted the German Maritime Rescue Service (GMRS) located at Busum. The GMRS launched the rescue boat SK-33 which took the Mare Liberum under tow back to Busum. A towboat with 20 barges loaded with coal struck the center pier of the Westbound lanes of the Natchez–Vidalia Bridge which crosses over the Mississippi River. Local residents reported that the collision was loud enough to hear along the bluffs overlooking the river. Officials closed the bridge for several hours to inspect the bridge. The inspections found no problems stating the damage was limited to a few scrapes on the pier. Two of the 20 barges sank after the collision. One is in deep water directly under the bridge while the other is downriver on the right bank. 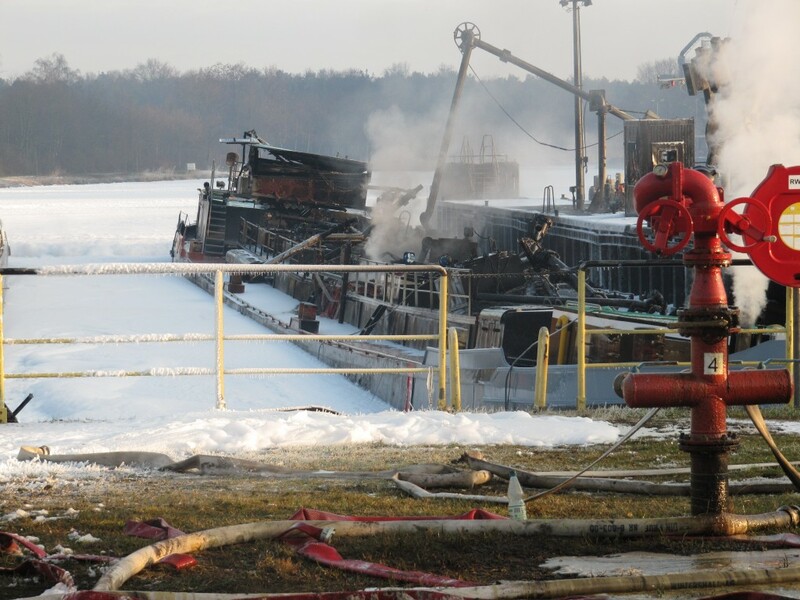 The barge owners stated they will be working with a salvage company to recover both barges. 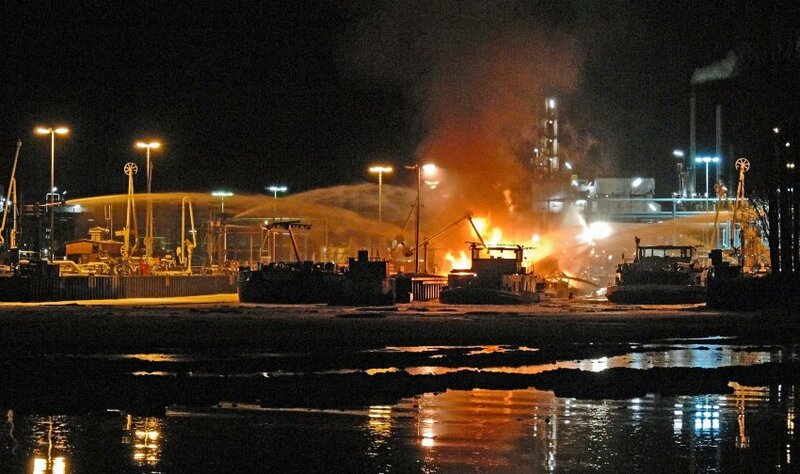 The 1125 ts inland tanker Alpsray exploded while berthed at the BP refinery at Lingen, Germany. The Alpsray was being loaded with premium fuel when a fire broke out. 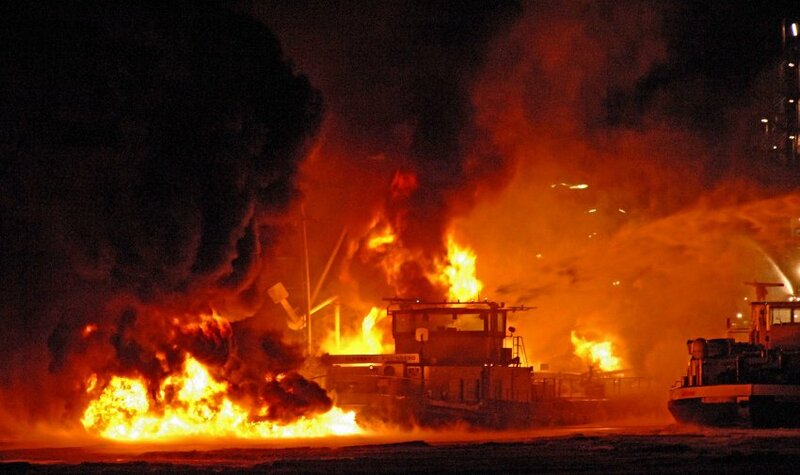 The fire quickly enveloped the Alpsray and there were several explosions. The five crew members on board the Alpsray were safely rescued. One crewman had to be treated for minor injuries. Local firefighters were able to get the fire under control using an extinguishing foam. Reports state traffic on the Dortmund-Ems Canal had to be stopped due to this incident. Initial estimates state the damage will be in the millions. Pollution has been released. 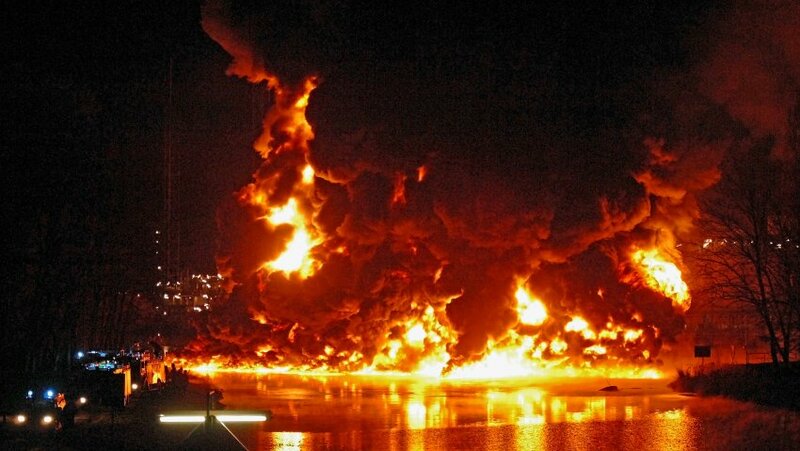 The cause of the explosion is not known, but negligent arson is suspected.